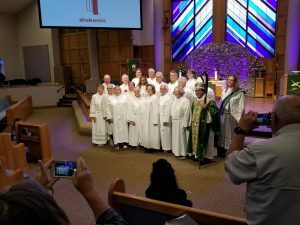 The Diakonia is a program of lay spiritual formation that includes a two year process of training and theological education. Our graduation was held on June 9 at Hope Lutheran Church in The Villages at the closing of our annual retreat. and hopefully a Space Coast location as well as Miami. Click on the links below to read more about the diakonia program in the Florida Bahamas Synod .